Ideally, when their owners go away, cats will be cared for at home by a family member, friend, or professional cat sitter who can provide references. However, this isn’t always possible. Owners who must leave their cats in the care of a boarding kennel should first visit the cattery to ensure that it meets high standards of health, safety, and hygiene, and is staffed with caring, experienced professionals. Provide each cat with a separate indoor living space and individual access to an exercise area (indoor or outdoor) for some time each day. Have solid dividers between living areas and no communal spaces where communicable disease might be spread. Have isolation facilities for feline residents that are ill. Ensure facilities have sufficient light and ventilation. Have fresh-looking food and water in cat dishes. Only accept cats that have been vaccinated against rabies, Panleukopenia (Distemper), Feline Viral Rhinotracheitis (FVR or Feline Herpes Virus), Feline Calicivirus (FCV), and Pneumonitis (FVRCPP). Have heating and cooling systems, preferably adjustable for individual units, as different cats may feel heat or cold more depending on age, coat length, and other factors (or have special accommodations for older pets that may require warmer areas). Offer shelter from rain, wind, snow, and overly bright sunlight in outdoor exercise areas. Have sufficient security to prevent escape. Ensure that there are no sharp objects, chemicals, etc. lying around. Surroundings (buildings and grounds) are well tended. Enclosures and concrete bases have no algae stains. Area is free of bad smells. Premises do not reek of disinfectant (excessive disinfectant may be used to disguise inadequate cleaning). Food and water bowls are clean. The kennel provides large, clean litter boxes. There is plenty of space between food bowls and litter boxes. The facility has a regular disinfecting schedule. 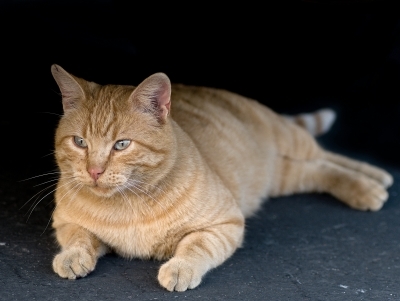 Other resident cats at the facility are free of parasites such as ticks and fleas. Before leaving their cats at boarding kennels, owners should talk to the staff in depth to get a sense of their experience and attitude. Good staff will be caring and knowledgeable. They will ask about the cat’s medical history, vaccinations, dietary preferences, and personality quirks or likes and dislikes. The design of the facility also indicates whether the owners care about the well-being of the animals in their charge. Design elements such as spacious living quarters and attempts to ensure that resident cats have an entertaining view (i.e., having plants that attract butterflies for them to watch) show that the psychological welfare of the feline boarders has been taken into account. Another thing to look for is the mood of other cats at the facility. Do they seem healthy, contented, and calm? Or are they anxious, lethargic, or sickly? If other cats at the facility seem happy and healthy, it’s likely to be a good place. Viewing more than one kennel is recommended in order to find the best one, and it’s worth travelling a little further if need be to ensure a good placement. A veterinarian may be able to recommend a good boarding kennel in the area. What happens if something prevents an owner from retrieving his or her cat on the pre-arranged date? Does the kennel provide bedding? Can an owner bring the pet’s own bedding? How often are the cats fed? What food does the kennel provide? Can they offer a customized diet if need be? Can owners bring their own pet food? What will be done if the cat becomes ill? Does the kennel have an on-site veterinarian or do they contact the cat’s own veterinarian in the case of illness or injury? Are long-haired cats groomed to prevent their coats becoming tangled? If so, is there an extra charge for this service? How much time do staff spend with the cats each day? Do they have the knowledge and practical experience to interpret signs of distress and illness? What does the facility do to control parasites such as fleas and ticks? How does the kennel calculate rates? Are there extra charges to administer medication? If the local province, state, or municipality requires boarding kennel inspections, does the kennel display a certificate or license indicating that it meets legally mandated standards? Does the kennel belong to a professional trade association with a code of ethics and means of accreditation? Check with the Better Business Bureau to ensure that no complaints have been lodged against the kennel. Then, once a choice has been made, be sure to provide contact details (both the owner’s and the cat’s veterinarian’s) in case of emergency.